New frequency for Nick Jr Russia: 11958.00MHz, pol.H (DVB-S2 SR:27500 FEC:3/4 SID:10380 PID:5021[MPEG-4]/5022 aac English,5023 aac Russian- VideoGuard). Nick Jr Russia is encrypted again after being temporarily unencrypted on 11727.48MHz, pol.H SR:27500 FEC:5/6 SID:10380 PID:5021[MPEG-4]/5022 aac English,5023 aac Russian (VideoGuard). New frequency for Nick Jr Russia: 11727.48MHz, pol.H (DVB-S SR:27500 FEC:5/6 SID:10380 PID:5021[MPEG-4]/5022 aac English,5023 aac Russian- Clear). Viasat Ukraine: Nick Jr Russia (Russia) broadcasts in DVB-S2 VeriMatrix & VideoGuard on 12207.00MHz, pol.V SR:30000 FEC:3/4 SID:2660 PID:2661[MPEG-4]/2662 Russian. Viasat Ukraine: New frequency for Nick Jr Russia: 12348.00MHz, pol.H (DVB-S SR:30000 FEC:7/8 SID:2660 PID:2661[MPEG-4]/2662 Russian- VideoGuard). Viasat Ukraine: A new channel has started in DVB-S VideoGuard: Nick Jr Russia (Russia) on 11222.00MHz, pol.H SR:30000 FEC:7/8 SID:2660 PID:2661[MPEG-4]/2662 Russian. Viasat Ukraine: New frequency for Nick Jr Russia: 11373.00MHz, pol.H (DVB-S SR:27500 FEC:2/3 SID:2660 PID:2661[MPEG-4]/2662 Russian- VideoGuard). Viasat Ukraine: A new channel has started in DVB-S VideoGuard: Nick Jr Russia (Russia) on 11432.00MHz, pol.V SR:27500 FEC:2/3 SID:2660 PID:2661[MPEG-4]/2662 Russian. A new channel has started in DVB-S2 BulCrypt & Panaccess: Nick Jr Russia (Russia) on 11973.00MHz, pol.V SR:27500 FEC:5/6 SID:1030 PID:1301[MPEG-4]/1302 Russian,1303 English. Viasat Ukraine: A new channel has started in DVB-S2 VideoGuard: Nick Jr Russia (Russia) on 12169.00MHz, pol.V SR:27500 FEC:3/4 SID:2660 PID:2661[MPEG-4]/2662 Russian. 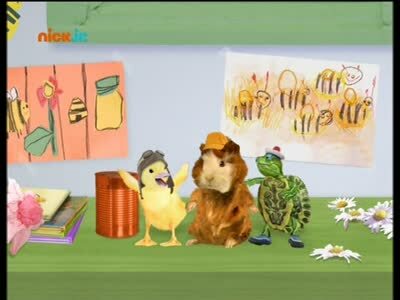 New SID for Nick Jr Russia on 11336.00MHz, pol.H FEC:5/6 SR:27500: SID:1018 ( PID:1802/1803 Russian,1804 English - Conax). A new channel has started in DVB-S Clear: Nick Jr Russia (Russia) on 11336.00MHz, pol.H SR:27500 FEC:5/6 SID:1017 PID:1702/1703 Russian.